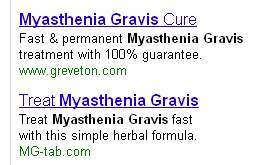 This entry was posted in AdWords, Match Types, Pay Per Click on January 30, 2010 by quedge9. I don’t know about you, but sometimes my head spins with all the different match types Adwords offers, especially when it comes to leveraging their fuzzy logic (which you definitely WANT to do). I mean, there’s exact match, phrase match, broad match, expanded broad match, and now “automatic broad match”. Throw in negative exacts, negative phrases, etc. and you’ll have an aneurysm. Jerrold Burke is a Senior Analyst in the PPC department at Rocket Clicks. He proactively contacted me to suggest we do an audio which clarifies how to leverage Google’s fuzzy logic in SEARCH. Most importantly, in this short and free MP3, we concentrated on Automatic Broad Match, the broadest of the broad. It’s a feature still in Beta so you won’t yet see it in all accounts, but we’re pretty sure it’s coming down the pike for everyone. As you might expect, given that my private coaching board is rather expensive, I tend to attract a fair number of experienced marketers who’ve got at least some success behind them, usually in some less difficult, lower volume, less competitive market. The BEST marketers don’t step head into the wind. They carefully evaluate all the different approaches to a market, isolate the most attractive segment given the levels of competition, money available, relevance to what they wish to sell, and estimated cost per click, opt in, and sale. In fact, the VERY BEST marketers find several such approaches into a market and develop multiple funnels (perhaps prioritizing and developing just one at a time). They know that if a market is truly valuable, it’s worth spending the time to break it into pieces. The best marketers are happy to serve only the best segments of a market, and are willing to put in the time, energy, money, and other resources to stake their ground, a little at a time. You see, if you ARE as ripped as Rambo (excellent at PPC, SEO, article marketing, etc), if your object is to build a solid business and there are thousands of wimps challenging you to a wrestling match, why not take THEM up on it, instead of going after Mike Tyson? Do you want to prove yourself, or do you want to build your business? Do you want to be recognized as the best, or would it be enough to just get wealthy? Then you build some additional volume using broad match, but you take serious advantage of the relative paucity of competitors to really ramp up your conversion rates, and downgrade your price per click. In other words, if you really ARE as strong as Rambo, why squander your strength (and your blood) in Viet Nam or Cambodia where you risk getting captured and tortured by the enemy? He just went after the wrong target. Are you confident you’re going after the RIGHT target? The first month of my club is entirely about developing this confidence so you’ll be able to focus and confidently move forward, instead of falling prey to distraction after distraction. This entry was posted in AdWords, AdWords Cost, Hyper Responsive Marketing, Inspiration, Internet Marketing, Pay Per Click on January 25, 2010 by quedge9.